Let the curious and fun design of Marc Jacobs® The Foil Pouch Flat Pouch be your go to bag for any casual outing. Shopper made of durable and textured foil in high-shine. Lined interior features back-wall brand patch. 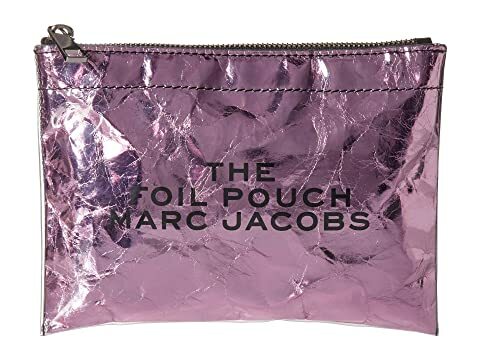 We can't currently find any similar items for the The Foil Pouch Flat Pouch by Marc Jacobs. Sorry!